Short of a miracle this years edition of Cats are not going dancing. So whats left? The CBI, and CIT are just unthinkable, I don't think it will come to that. The NIT would be happy with an ARIZONA in their field. Assuming the Cats can BEAR DOWN and finish strong. Last time the Cats went to the NIT they crushed it. Based on that failure alone I think if the Cats get the invite they should pass, don't need that embarrassment. With everything going on I believe the faster the Cats drop off the radar the better. I could argue against myself and say a team like this should take all the game time experience they can get, lots of youngsters. I'm not sure it matters. Maybe I'm just tired of watching this team, maybe I'll change my mind. Hope springs eternal. Not sure if you were being sarcastic about crushing it in the NIT. Cats have lost in the 1st round of all four of their NIT appearances (dating back to 1946). The NIT would be ecstatic to have Arizona, however I'm not sure that we would a non-NCAA postseason would benefit the program. It's completely possible that our fans show up in Vegas and we make a 4-game run for an auto-bid. Most likely, we'll be preparing for 2019-2020. Don't ever think you are too good for something. 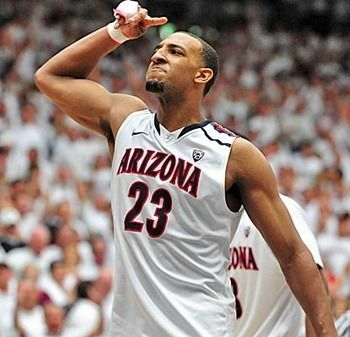 This year the NIT is not beneath the Arizona program. If it is then go prove it by winning the whole thing. Would the football team pass on a low-end bowl game?! Hell no!! I would be ecstatic with a decent NIT run. Something to keep me excited for, yes, I'm gonna say it.... NEXT YEAR! I cant take the basketball depression anymore, and I am doing everything in my power to snap out of it. Even if it means getting excited for a possible NIT bid. I will continue to root for my Cats! Win or lose! I cant help it. Its in my blood! All I want to see is some progress each game even if it's only a little bit. I say we go to any tournament that will have us IF, and ONLY IF, we have a new head coach. No. I am not a journalist of any sort. But please find one who does it professionally who thinks Miller is not doomed. I actually do know two that don't buy this crap. However, I do not know too many so called journalist that you could trust with much of anything because most of them only care about a story period. Hansen for one has been a notorious liar in many of his degrading articles about Arizona. Seems ESPN has also developed a hard on for CSM and Arizona. I believe that there are some sources from within the conference who have quietly/secretly been putting it to Arizona. Oregon has received a little of this lately as well, but not like Arizona. From the paid refs to T up CSM to the refusal a few years back to not Allowing ESPN to do a special show on Arizona basketball, the PAC 12 has treated Arizona as a lesser school. The PAC used the excuse that the ESPN show would violate the PAC agreement in money sharing but then allowed a similar show with other PAC schools only a short time later. Even the ABOR shows indifference between ASU and Arizona. Enough of the poor Arizona stuff, but the sky is not falling all around us as so many think. I believe (unless CSM decides to leave on his own) that CSM will be here next year as our HC. I've never really paid attention to the NIT but last year I caught a game and noticed that the games are played at one of the teams home courts. I love that idea much more than playing in the ginormous stale arenas. These kids need all the playing time we can give them. They came here to play basketball, this was always gonna be a down year. There are games maybe they could have focused a little more and won, taken better shots. I as a fan will cheer for them no matter what tourney they are in. If they don't make the NCAA then go win the games you are playing. Use it as prep for next year. I'm sick of watching the lose, but man they are kids that want to play ball. I think it would be a disservice to not accept a tourney invite, and an act of arrogance. Does anyone think that this team is even an NIT worthy?? I want it to end as soon as the PAC-12 Tourney is over. I have no illusion of grnadier for this team.